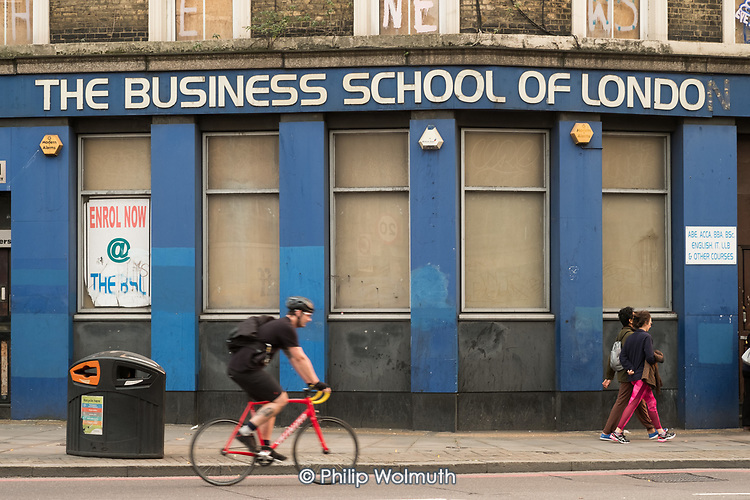 The Business School of London. Closed private tuition centre, Bishopsgate, City of London. Older buildings in the area are being demolished to make way for luxury residential and office towers.